So after picking up their 28th W of the season, and the very first win over the Detroit Pistons in the Palace of Auburn Hills for the past 8 years, the Houston Rockets travelled to New York to play the 2nd leg of the back-to-back with New York Knicks. 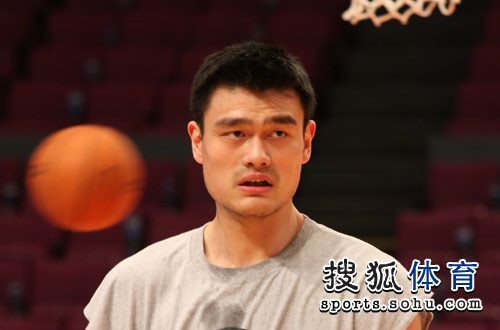 It is not yet sure whether Yao Ming will return to play in this game or not in Madison Square Garden. He was out in Detroit when Keith Jones told him to dress down, after he suited up to prepare for the pregame warm-up. He will still be put on day-to-day, but obviously, it is more precaution than anything. 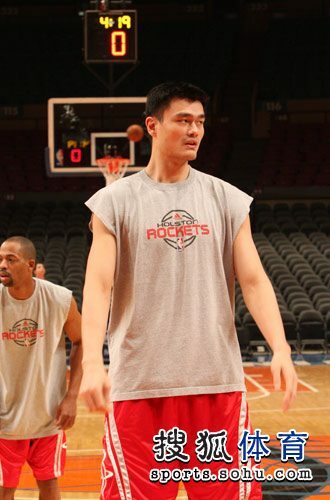 Regardless whether Yao Ming is playing or not, it is expected that the chance for getting another win here is high; The Rockets currently has a winning streak of 8 against the Knicks, including each of its previous five trips to Madison Square Garden. The most current thrashing of the New York Knicks was on January 10, when both Tracy McGrady and Ron Artest did not play. 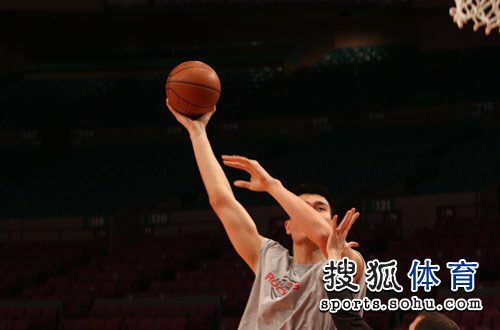 So personally in a dilemma; want to see Yao Ming return to the line-up such that the Big 3 (Yao, McGrady and Artest) could be in action together; on the other hand, wish Yao Ming to have another day of rest for his sore right knee. Anyway, whether he plays or not, still look forward to another blow-out win on the Knicks for the Rockets. 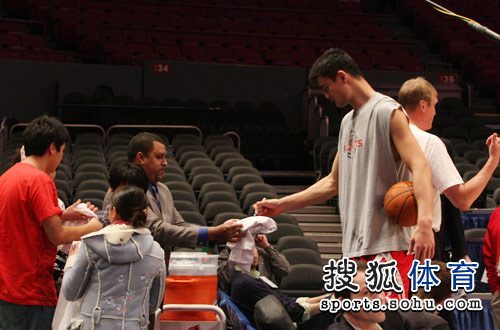 Yao Ming took part in the pregame warm-up and shoot-around, but still found some uncomfortness in his right knee. So for precaution, he decided to sit out for another game. 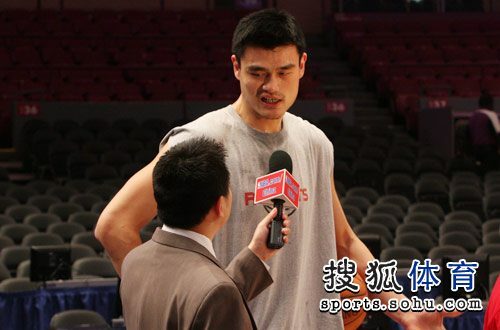 So no Yao Ming for this game. The starting roster is still the same 5 as that for the game versus Detroit Pistons. Rafter Alston, Tracy McGrady, Shane Battier, Ron Artest and Luis Scola. NO DEFENSE again from the Rockets letting the Knicks shooting 61.5% FG%. No one can stop David Lee. On offense, too many ISOs from Tracy McGrady !!! 1Q ended........29 vs 23 on a buzzer-beater from Tim Thomas. 57.9% FG% from Knicks versus 40% FG% from the Rockets !! NUFF SAID !!! 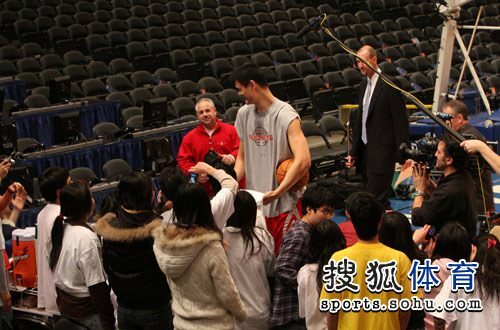 Photos of Big Yao in his pregame warm-up and shootaround. Without Tracy McGrady and Ron Artest on the floor, the 2nd tier Rockets led by Aaron Brooks reduced the deficit and now tied the game. 1H ended.........58 vs 55, Rockets lead by 3 points. When the starters of both team came back on court, they just traded baskets with baskets....and the Rockets still hang on to their slender lead. 74 vs 69......still 5 point lead. 3 minutes to go before end of 3Q. Now Von Wafer and Aaron Brooks came in for Shane Battier and Tracy McGrady. 3Q ended.... 80 vs 74, Rockets.